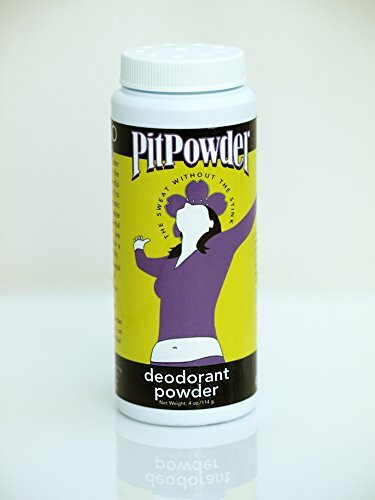 Pit Powder reduces odor without the introduction of harmful toxins which are found in many conventional deodorants and antiperspirants. Sweating is an integral part of a healthy body. With Pit Powder you can now sweat without the stink!Product Ingredients:sodium bicarbonate (baking soda), maranta arundinacea (arrowroot powder), fuller‰Ûªs earth clay, trigonella foenum-graecum (fenugreek seed powder), essential oils of organic citrus paridisi (grapefruit), organic lavendula angustifolia (lavender), organic pelargonium graveolens (geranium), organic melaleuca alternifolia (tea tree), organic pogostemon cablin (patchouli), organic cananga odorata (ylang ylang). If you have any questions about this product by Muddy H2O, contact us by completing and submitting the form below. If you are looking for a specif part number, please include it with your message.